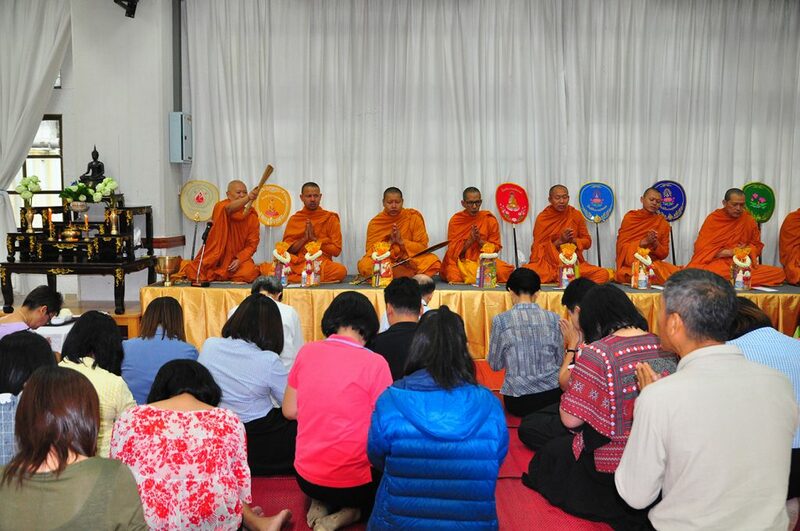 Thursday, 1 November 2018 – School of Liberal Arts (SOLA) organized a Buddhist merit-making ceremony on the occasion of the 18th anniversary of SOLA establishment. This tradition has been succeeded to promote the morale of personnel and students of SOLA. In the morning, Asst. 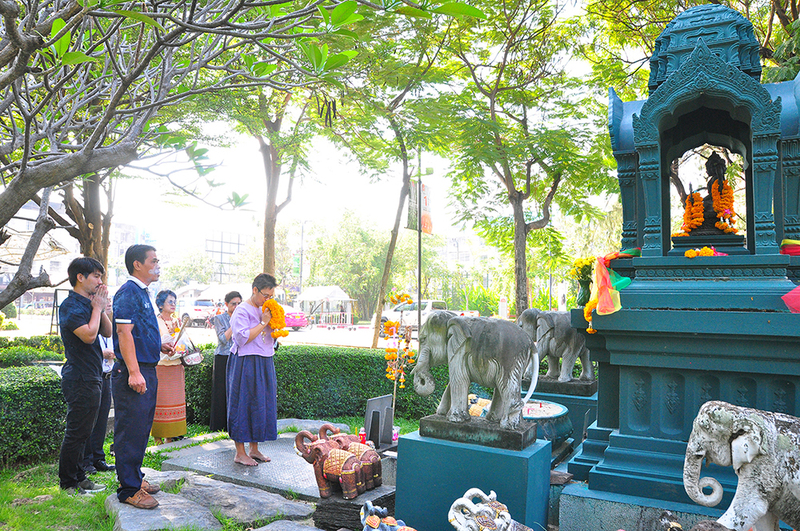 Prof. Dr. Sasitorn Suwannathep, Dean of School of Liberal Arts, together with all staffs worshiped Somdej Phra Ariyaphrom and King Rama IV Monument. 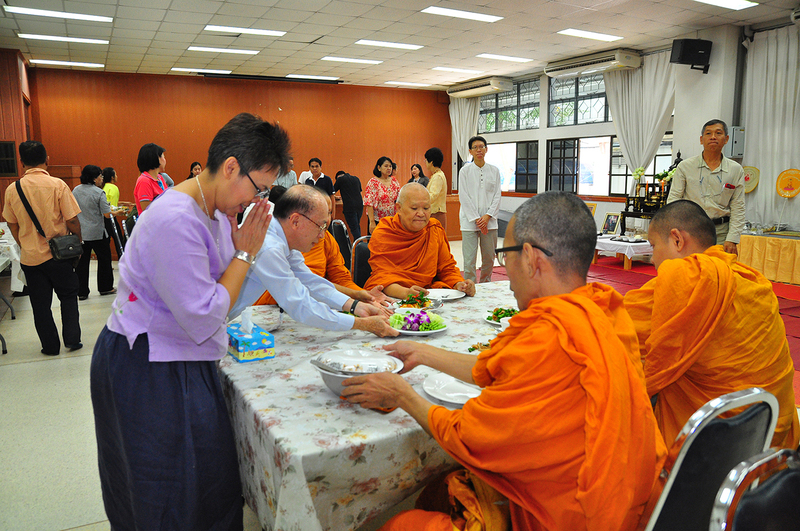 After that, the personnel and the students joined the merit-making ceremony by offering food and giving alms to monks. There was also an Islamic ritual in the afternoon.